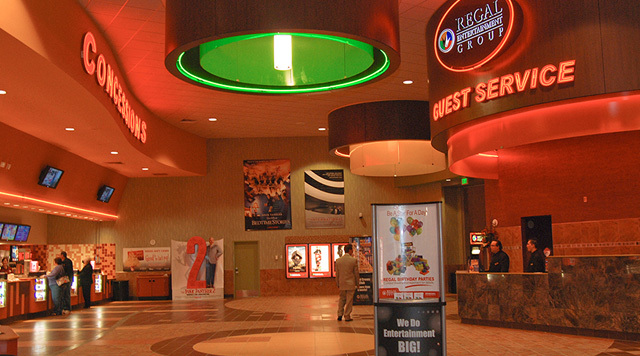 Regal Aliante Stadium 16 & IMAX Theater is always showing the hottest new movies. Need an idea of a great date night? Show your love a lovely time by making a dinner reservation for two at one of our delectable restaurants. After dinner, catch a great flick and then finish off the perfect night with a piece of pie at FARM 24•7! You don’t need a date to enjoy what we’re showing, though – take the whole family for a fun night out!